Bogush Inc. is the authorized maintenance and repair center for most of the leading pump and electric motor manufacturers in the industry. Our goal is to provide our customers with solutions to their pump and electric motor needs. We offer complete machine shop services as well as on-site field service, maintenance, repair and new installations. From a simple pump repair to complete motor re-winding, we have the resources to meet your needs. Bogush Inc. has been serving customers in New Jersey, New York, Conneticut and surrounding areas since 1976. 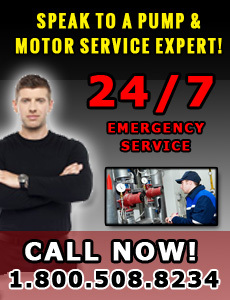 For more information on Bogush Inc. pump & motor services, give us a call today at 1-800-508-8234. We look forwarding to serving you!